We are getting so close, y’all. As I write this, I only have two workouts left. Taper starts on Thursday. I am feeling strong and ready. I had some mental doubts I dealt with this week (I will write about this in a separate post), but I was able to speak positivity into my running and I was rewarded with a great final tune up race. Here is how the past week shook out. Monday: 6.2 easy miles to kick off the week. It was Labor Day and so I had a fun run with Jen and Dawn. I came back from Ohio with a cold but felt fine to run. Tuesday: I felt pretty bad. I decided I would try my workout and see how it went. It did not go well but I managed to get in most of the work. It was all I could do not to just go right back to bed when I finished the run. Wednesday: rest day is ALWAYS the best day! Thursday: 12.2 miles before work! I ran ten miles at tempo and had an extremely strong run. It really made me feel great about the race. I got to run three of the tempo miles with Jen and then finished the rest on my on, which was hard but I managed to negative split this run! Friday: Another monument run with Oiselle gals – an easy 5.5 around the Mall. Saturday: Ten easy miles in amazingly cool fall-like weather. So so awesome! Sunday: Parks Half Marathon. I will write a recap for this one, but I wanted to use it to simulate race day in Berlin. While the course was unlike Berlin (it was rolling hills and Berlin is flat), I used the mental practice. I came into the race with almost 40 miles on my legs and I was tired. I just pretended I was in the back half of the marathon and didn’t allow myself to give up. I felt strong throughout and will definitely recall this race during Berlin. BRING ON THE TAPER! Anyone else THIS close to taper and getting excited?!! Sounds like a terrific week of training! Look at those miles! Congrats on a strong half marathon! Sounds like you are ready! Enjoy your taper! Soo close! Great week. Enjoy your last two workouts in Chicago. Taper time is the best. Thanks! I think I have a buddy for one of my workouts which is awesome! Your training really is going well! You know I love running in Chicago — hope the work stuff goes smoothly too. 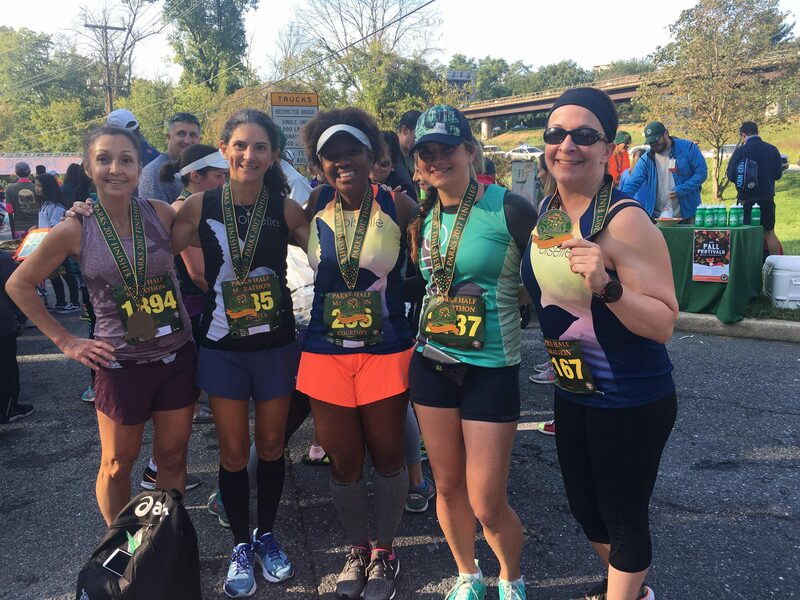 Thanks – have you ever done the Parks half? I think you would like it a lot! Woo-hoo! Hooray for the taper! I personally love the taper and can’t wait to hit it next week! Congrats on a great week of workouts, especially the half marathon. It’s great that you had such a solid race – definitely a great confidence boost before Berlin! Girl – I am running to this taper like WHOA. I don’t understand people who don’t like the taper, lol. You had a really solid week, even with your cold. I hope you’re back to feeling 100%. I can’t wait to read your Parks Half recap. I ran it two years ago with my youngest son. It was his first half! 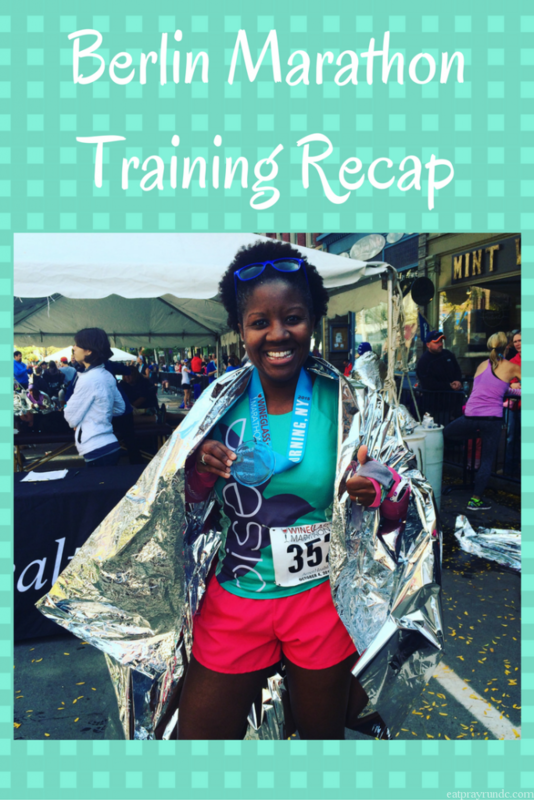 Happy tapering, and thanks for the linkup! Your recap was one of the ones that convinced me to sign up. Although apparently they changed the course a bit this year. It was a great day- I really liked the race! Congratulations on your tune up race! You have been killing it with your training and I can’t wait to see how it goes in Berlin, can’t believe the taper is already here! I can’t wait to hear how it all goes! I really like the way you approached yesterday’s half marathon, especially with the mindset of it being the second half of your marathon. What a great way to practice using your mental strength to push through the physical challenge. Way to go! When I realized the course was much hillier than Berlin, I knew it wouldn’t really be a simulation of the course, so it made sense to me to just simulate how tired I’ll be halfway through the race. I was definitely tired going into this one so I think it worked out well. I think you would like this race, Kathryn! I wondered if you were running Parks when you said you were doing a half this weekend…it was definitely a lot of rolling hills in the new course! I am sure you are welcoming your taper and I know you will be great in Berlin!! It sounds like a great week of training and your taper is almost here! I can’t wait to read about your half because someone else’s blog I read wrote about that same half. I heard it was a hilly one. Plus the 10 mile tempo, to me those are the hardest workouts of Hansons and the ones that left me super depleted. I like that you incorporate the races into your training too. Good luck with the Chicago trip and be safe! Congrats on a training cycle well worked, Courtney! You are just 2 workouts away from celebrating all your hard work with taper time, and what a great way to go into it with such a strong tempo run and simulation race. You are going to do great things in Berlin, and I’m glad you kept up the positivity. Enjoy your Chicago runs! Great week of training! You are so ready for the nice flat course in Berlin 🙂 Best of luck! Enjoy! What a strong week — especially with that half at the end. I feel like that was perfect timing for a race to test your tired legs. When taper comes – assuming I’ve nailed my training – I’m usually so ready for it. I use it as a time to get my life back in order (whatever I’ve neglected while running) and take care of myself before a big race. Berlin is getting so close!